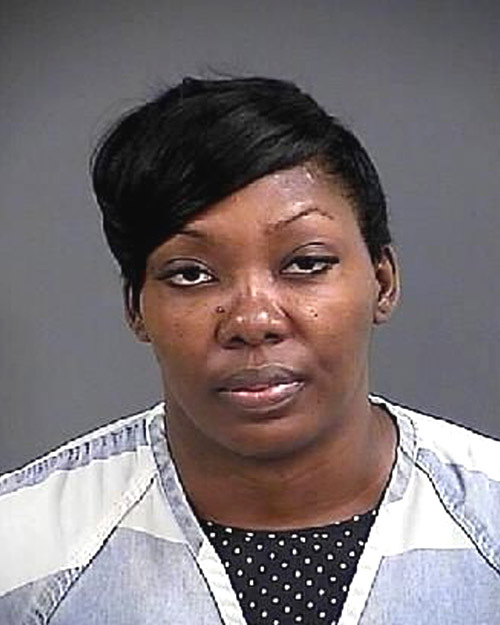 South Carolina police today announced the arrest of a woman who allegedly threatened to “shoot everyone” at a Burger King after she received a stale Cinnabon roll earlier this month. Andrea Ann McCullough, 33, was nabbed yesterday on a misdemeanor assault charge in connection with the May 13 incident at the eatery in Mount Pleasant, a Charleston suburb. According to police, McCullough quarreled with Burger King workers when she discovered that her Cinnabon roll was not fresh. The 7 PM dispute escalated, a patron told cops, when McCullough threatened, “I’m going to shoot down the place.” While saying this, McCullough "had her hand inside a black purse," the witness added. After employees said they were calling police, McCullough and two female companions fled the restaurant’s parking lot in a Dodge Charger. McCullough’s eventual apprehension was aided by Burger King workers who were able to record the getaway car’s license plate number. Seen in the above mug shot, McCullough was freed from custody yesterday after posting $10,000 bail. If convicted of the assault count, McCullough faces a maximum of three years in state prison.